Poker is a game of instinct, wit, strategy and skill. The best players tend to have a wealth of different options at their disposal and this sense of flexibility enables them to adapt to changing scenarios when required. While this is one of the aspects of the game which makes it so intriguing, those with a limited background could also become confused from time to time. Let us take a look at squeeze play poker as well as a handful of advantages that it can provide to the player. As you might have already guessed, the main intention of this tactic is to literally “squeeze” the player out of a hand; raising the chances that you walk away a winner. The main takeaway point is that this technique can work regardless of what you may already be holding within your hand. Thus, it can also be categorised as a bluff. 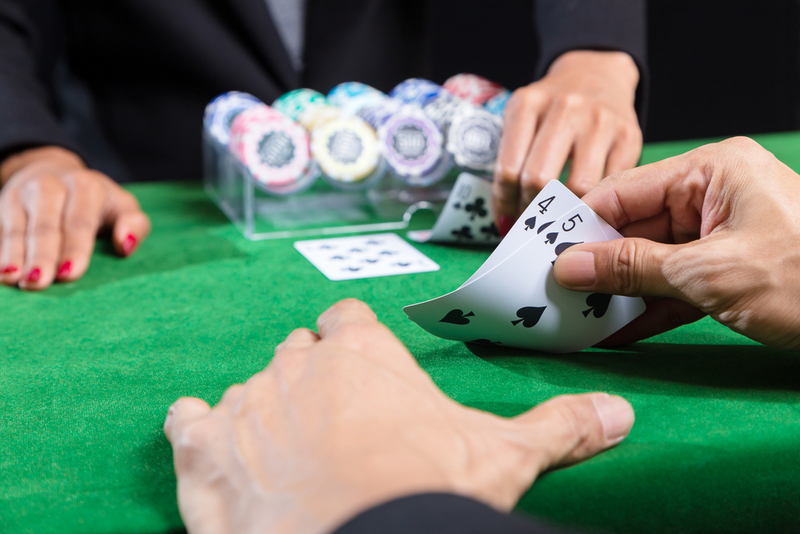 The situation occurs when a loose player raises prior to the flop and an additional participant calls after the raise. The intention is for you to place a three-bet and therefore, to force them out of the hand. We should be clear that there are specific times when this technique is warranted. This will depend more upon the personality of the other players and less upon what you may (or may not) actually hold. Keep in mind that aggressive players will often choose to open with a variety of different hands. The second participant could then look for a cheap flop by calling a wider range. What does this mean? Essentially, these positions tend to signify that neither player possess a hand that is able to withstand a three-bet strategy. This is also the reason why they are frequently calling. Another signal is a player who is looking for a cheap flop as opposed to becoming involved with higher hands that will cause increased losses. Either of these situations may indicate that a squeeze play should be considered. Can Squeeze Plays be Used in All Poker Variants? The short answer to this question is no and here is the reason why. Essentially, squeeze play poker refers to your ability to force other opponents to fold due to the threat of losing their bankroll. It should therefore be obvious that no-limit games such as Texas Hold ’em are perfect opportunities to employ this technique. Online poker tournaments with larger pots are also relevant here. However, games associated with a limit will generally not profit from this strategy. It is simply not possible to raise a sufficient amount in order to force the others to fold out of fear. Hands that function well within a three-bet pot. In the first situation, possessing middle- to high-pocket pairs is thought to be a prime scenario to consider a squeeze play. Callers tend to be more likely to play smaller pocket pairs, so squeezing will lessen the chances that they are able to afford to hit their hands. Blocking hands are those which place limits upon the possibility that the other players hold high face cards such as kings, queens or aces. A hand that contains a number of blocker cards should fare well when a squeeze play is put into force. There may also be times when you are forced to deal with a squeeze from another opponent. The best strategy is generally to fold; especially when playing a micro-limits game. It is also a good idea to narrow your range of opening cards, as the other players will not be as keen to implement a squeeze. It nonetheless stands to reason that your ultimate decision will be based upon the cards that you currently hold as well as what you surmise the others could possess. A squeeze play in poker tends to be a moderately advanced strategy and therefore, it is a good idea to gain a good amount of experience before attempting such a move. Additionally, please have a look through the additional tips found throughout this site to gain even more experience in the future.